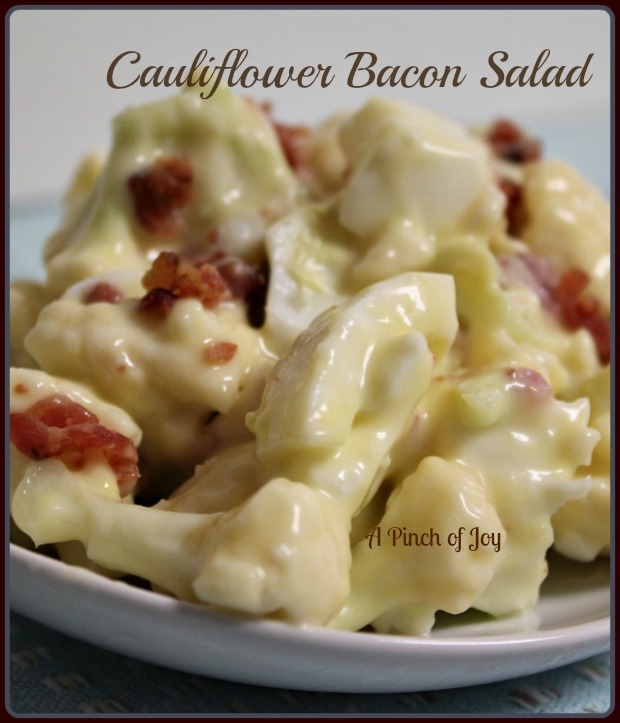 Cauliflower Salad? 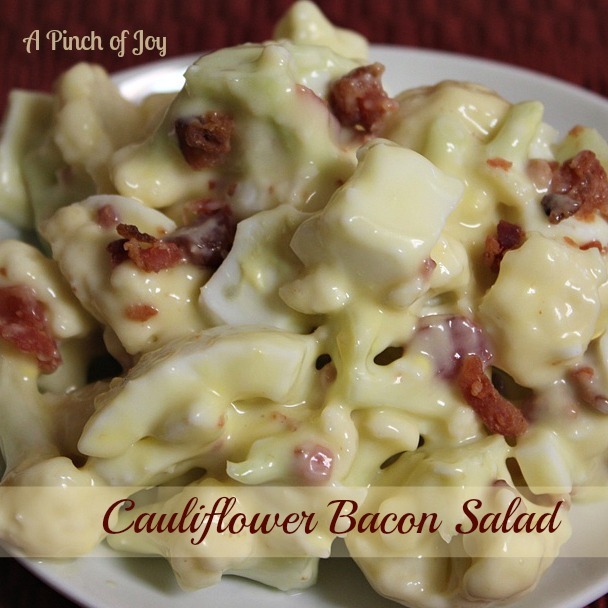 Cauliflower Bacon Salad? Candy – just pure candy! This is so good you will ignore everything else on your plate. It’s supposed to make four to six servings depending on the size of the cauliflower head. However, if Wheels and Bytes get to it before I do, they divide it in half and inhale. You can add grape tomatoes if you want, but why mess with perfection? Nothing more to be said! Go! Make some! You’ll be glad you did! Crispy bacon, crunchy cauliflower with a sweet sour dressing -- total veggie candy. Break cauliflower into florets and slice into bite size pieces if needed. Place all salad ingredients in bowl and shake or stir gently to mix. Whisk dressing ingredients together and pour over salad ingredients. Mix gently, cover and chill in refrigerator before serving about an hour. Going to try this. I might even get Kenny to like this one. He likes bacon and cheese. Do you use the mayo made with canola or a low fat mayo. This is going on the table tonight. Sue — I use Kraft Mayo made with olive (with the green lid). Hope you both like this!